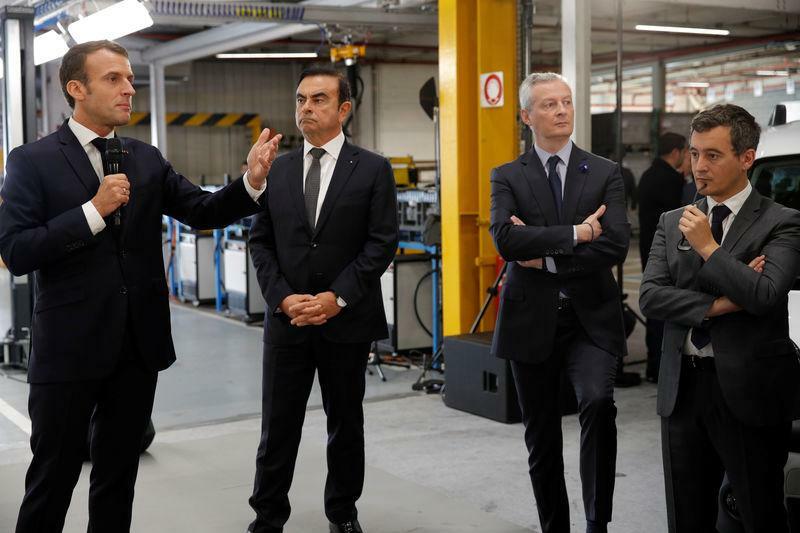 MAUBEUGE, France/PARIS (Reuters) - France's Renault (RENA.PA) said it will build new Nissan and Mitsubishi vans at its domestic plants, raising investment in the country as it explores closer integration of the three-way carmaking alliance with government backing. Renault will build a new Nissan <7201.T> NV250 delivery van at the northern Maubeuge factory, on an architecture shared with its own Kangoo model that includes an electric version, the alliance said in a statement. A larger Mitsubishi (7211.T) van will also be produced in Sandouville, western France, alongside Renault's Trafic. The move raises Renault's announced investment in France this year to 1.4 billion euros ($1.6 billion), the companies added. The investment will eventually boost Renault's sales to partners - one measure of its financial benefit from the alliance - which fell by 358 million euros in the last quarter, partly reflecting Europe's diesel sales decline.